Your nightmare has come true – someone has fraudulently charged a sheaf of frivolous, online purchases to your trusty Visa card. Luckily, the credit card company’s algorithms caught it and shut the scam down – but of course, nobody told you. You actually found out in a bustling grocery store on a Sunday morning, with a cart full of perishable food, two kids in tow, and a long, impatient line behind you. As a warm, gripping panic begins to squeeze your insides, you hope that a simple call to the card service center will be able to fix everything in a flash. Unfortunately, your experience is anything but painless and speedy. When you’re finally able to get in the car and put a call into the fraud department, you’re forced through a game of 20 Questions (What is your special password that you created when you signed up eight years ago? Did you make a purchase for $9.05 at Walmart? Are you sure?). Meanwhile, your anxiety is soaring through the roof. Does the operator actually think you’re trying to put one over on him? You’ve passed gauntlet No. 1, and next, you’re schlepped over to the “customer service” department to request a new card. The agent is very cheerful, helpful, and she reads from a very nice script, too. She tells you that your new card will take just about 10 business days to be delivered, and then you’ll be on your way. Ten business days?! When you ask her if someone can please speed that up – so you can actually use your credit card – she forwards you to her team leader, who then reads the exact same words from the exact same script – even nicer this time, of course. With frustrating customer experiences like these, it’s easy to deduce that every product or service challenge will be this way. Is there such a thing as a positive customer experience anymore? Then there’s the best-case scenario. You arrive at your hotel, tired and hungry after a long day of traveling. Your reservation, a waterfront suite, has been booked three weeks in advance, and you are looking forward to a great night’s sleep. Unfortunately, something went wrong, and your room is no longer available. The hotel is booked solid. Just as you are about to explode in a raucous display of primal anger, the front desk clerk smiles, and says you are upgraded to the Presidential Suite for your trouble, with complimentary room service, and apologies for the delay. As you relax on the comfortable couch in a room with an even more amazing view, you marvel at your good fortune. Life is good. So, what just happened? While most companies, like yours, work hard to avoid the first example, and many aspire to be able to deliver the second example – a Harvard Business Review article found, surprisingly, that unexpected, delightful service was not as closely linked to loyalty as had been thought. What was linked, however, to loyalty was the ability to Make It Easy for the customer at every point of the customer experience. As Forbes noted in in its early 2016 article about the top customer experience, or CX trends of the year, your customers are smarter than ever, they’re watching your every move, and they’re sharing details about their experience – freely – with family and friends. Making things easy is the best way to draw customers back, and cement their loyalty over time. 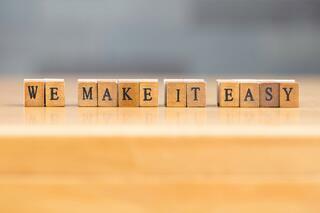 What Does It Take to “Make It Easy” for Your Customers? What does it take to make it easy for your customers in any business, whether it’s service, manufacturing, or hospitality? The answer is to look at each step of your customer experience, and to aim to remove the pain points, simplify processes, or create an added benefit that your customers will notice. 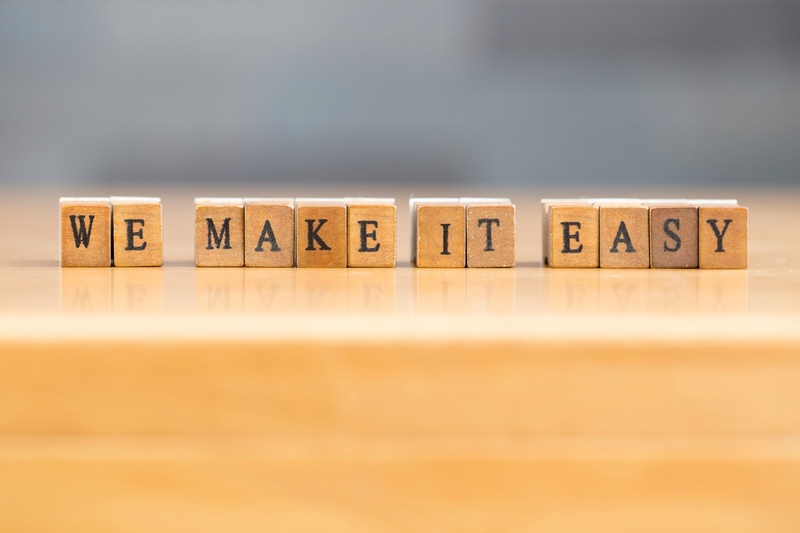 In addition, making it easy typically means that an investment in small improvements will accrue over time, paying a dividend in the form of a seamless experience for the customer. You get off your plane and a text pops up on your phone that tells you which carousel your bag will be on. Here, they made it easy – no searching for your flight on a monitor, and you’re quickly on your way. You order next-day delivery of a new shirt, but the shirt doesn’t arrive due to a weather delay. The merchant sends you an e-mail letting you know, and crediting your account for the one-day delivery fee. The merchant took accountability for the delay, let you know proactively, and without question or being asked, credited your account for the overnight fee. Your favorite hotel keeps track of room service orders. They discover you like Diet Pepsi, and the next time you check in, there is an ice-cold can waiting for you in your room, compliments of the hotel. The most basic of all: You are in a crowded coffee shop for a breakfast meeting, and like magic, your coffee cup always seems to be filled with piping hot coffee. While moving up to the Presidential Suite is great (and let’s face it, infrequent), it’s the smaller, make-it-easy moments that work to build long-term loyalty for the customer, no matter what business you are in. 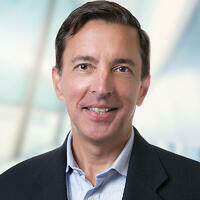 What Can Your Company Do to Make It Easy for Your Customers? First, try being your own customer. Use your own product and service, so you know first-hand the intimate details of how your customers interact with your company and its offerings. Second, listen to your customer. Pay attention to orders being called in. Do you have what the customer wants, in stock today? Is it going to be shipped promptly? What happens if you can’t fill their entire order – is there a simple way to make it easy, like a guaranteed overnight shipment of the missing item? Third, listen to your employees. They deliver the product or service and talk with your customers every day, and know how to make it easy, if only we’d ask. Ask them for suggestions, and let them run with it. Throwing the long ball and delighting your customer is still part of the playbook for any business – but what’s going to make your business prosper, keep your customers coming back, and prevent your competition from picking off your customers, is making each of those small interactions easy. Make it easy every day – and you and your customers will be glad you did.